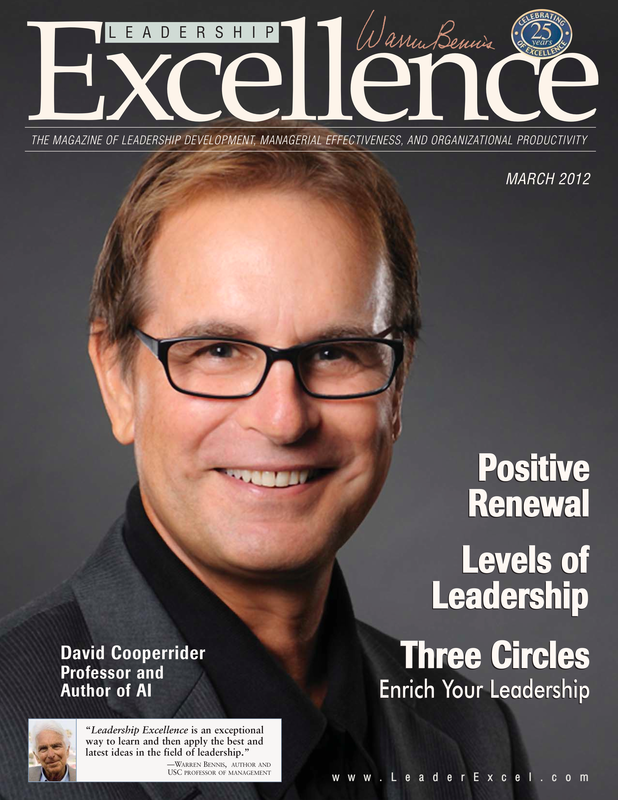 Last December, on behalf of his colleagues at the Weatherhead School Executive Education, Case Western University, David Cooperrider, Professor in Social Entrepreneurship and OB, proposed doing a special edition of Leadership Excellence. 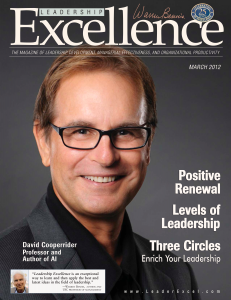 He provided 13 articles authored by the faculty who deliver their Leadership Deep Dive pro- gram—a senior executive immersion that combines the best of the best from the School that designed the first Phd in OD and Change in 1960, thanks to Herb Shephard, Warren Bennis, Don Wolfe, David Kolb, Suresh Srivastva, and others. The place continues to be a seedbed of pioneering theory/practice with award-winning thought leaders such as Richard Boyatzis (author of Primal Leadership), David Cooperrider and Ron Fry (creators of Appreciative Inquiry and the world inquiry into Business as an Agent of World Benefit);and Diana Bilimoria (author Handbook on Women in Business Management) and others. Download the Special Issue here.